As the number of netizens goes up world over, Internet is turning out to be the most potent advertising channel. There are several ways in which you can reach out to your target customers on the Internet. These include posting ads on websites with relevant content, promoting your products and services through your personal website and utilizing the electronic mail channel to gain direct access to your customers. One of the essential details which every business demands from its customers these days is their email address for future contact. 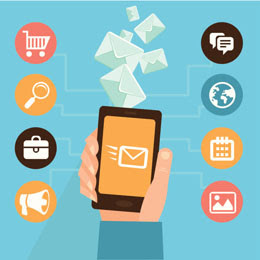 Email is the simplest, most cost-effective and direct means of communicating with customers. Most of the tech savvy population all over the world prefer using electronic mail instead of conventional mail, due to its rapid delivery time and ease of access. As e-commerce is slowly gaining popularity, email marketing and advertising have emerged as effective ways of promoting your products and services. It's important that you spend a considerable amount of time in researching your email advertising strategy. Avoid mailing too frequently and voluminously as the user might just opt out from receiving future emails in that case. You don't want your emails to land up in spam! You could use any one or a combination of the advertising ideas shared in the above lines or come up with your own innovative advertising plan. Let your advertisements be visually appealing and well designed, with concise content and catchy subject lines. Wish you good luck in your advertising endeavors! Plagiarism statistics reveal that 54% school students admitted to have plagiarized content from the Internet and 74% students accepted cheating at least once in an academic year, in a survey by Education Week. About 66% of the students from reputed American universities have plagiarized content from the Internet, which is a huge ocean of information. So, copying content written by someone and passing it off as your own has become very easy. In this competitive world, people go to any extent to gain publicity and earn quick money. Plagiarism on the Internet is on the rise, because there is a lot of negligence by the people. Even educated people are cheated quite easily by fraudsters. Even if a certain person is dragged to court for illegal stealing of information, the damage done by him/her to the original writer, in terms of money and reputation is irreparable. Preventing plagiarism is a challenge. Enforcing strict penalties against it, of all kinds, has become the need of the hour. Plagiarism can be intentional, as well as unintentional. It is necessary to educate students about it, right from school days. It is an evil which hampers the ability to think. It destroys the creativity in an individual. To prevent it, we can limit our sources of collecting information. The work submitted should be thoroughly checked for plagiarism. At times, the writer should be asked questions related to the article, to test the depth of his knowledge. The writer will be able to answer the questions, only if his content is original. 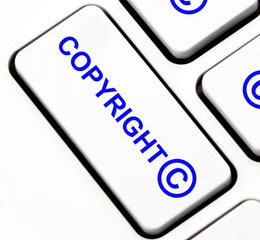 Hundreds of cases are filed everyday, for violating the Copyright Act. Many genuine and talented authors have to suffer because of plagiarism, as someone else who is no way related to penning the content, walks away with the money and honor. Detecting plagiarism means finding the words or lines which have been plagiarized. We can detect it, either by using a computer software or manually. Detecting it manually can be very tedious and at times, almost impossible, if the document to be checked is extensive. Many websites on the Internet provide online tools to detect it in all sorts of content. The Essay Verification Engine (EVE) is widely used to detect plagiarized prose content. The detector uses widely and most used search engines like Google, Yahoo, and Altavista, to compare the submitted content to the original content. The detector splits the text document to be verified into many strings of equal lengths. The data is then fed into the search engines. The final report is generated after the scanning is over. The writer is asked to repeat the article, if the percentage of plagiarism is more than 20%. The detector is very effective because 95% of plagiarized material is likely to be found in most of the cases. The scanning process can be completed within a few minutes. It is the duty of alert Internet users to take action against copyright violators, who are involved in plagiarism on the Internet. If proved guilty in the court of law, copyright violators may be sentenced to imprisonment or fined, depending upon the seriousness of the offense. Smooth image: When you use the screen you tend to have a smooth, crisp image. 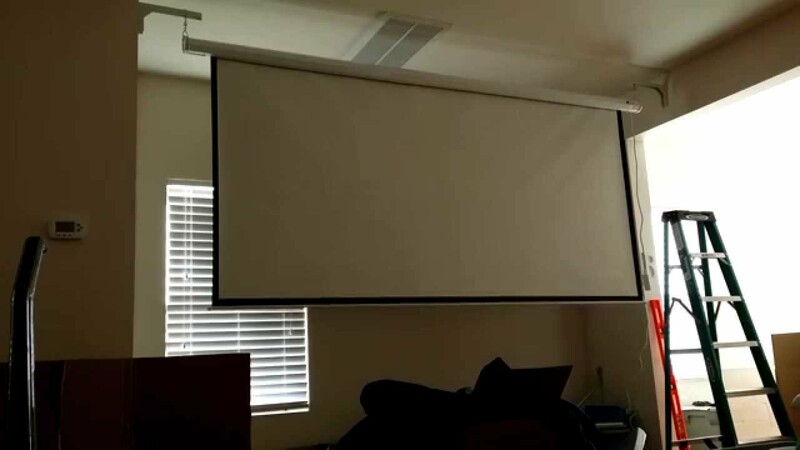 The reason for this is because the screens have a vinyl coating that allows the projector's light to be reflected back to the viewers. These sheets come in handy and significantly affect the picture qualities such as contrast, brightness, and viewing angle. 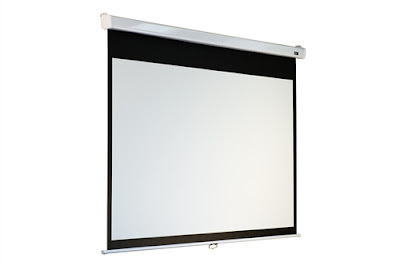 Fixed-frame: A fixed-frame screen features a screen material that is stretched over a metal frame. Since you don't have to roll the fixed screen up and down, you can maintain a tight, tensioned surface to provide you with a completely smooth image. 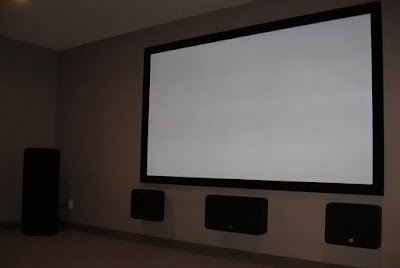 The fixed units are also easy to install as you don't have to connect power to them. How can you make the right and most efficient decision when identifying better solutions to improve on and apply to the overall performance of your organization? Business Intelligence tools make managing, gathering and analyzing important raw data or nebulous data less difficult and quicker. 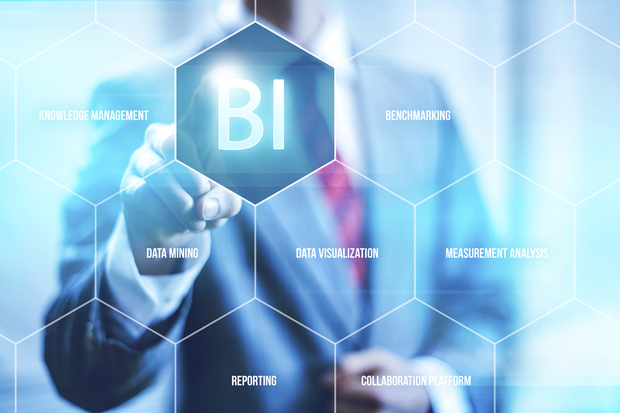 Data mining, collecting, and processing analytics, queries, and reporting are all elements related to the discipline of business intelligence (BI). These tools can help you keep track of organizational and individual activities, assist end-users in getting the right data, recall business decisions or track the progress of projects more efficiently than previously applied data. Ever changing marketing trends and targeting customers through their behavior and traffic patterns is the driving force for integrating business intelligence tools that provide greater insights than the way we previously used manual marketing forecasts. Actionable information that business managers and corporate executives can access in order to make informed business decisions can affect the organization's overall performance and growth. Yet how do you determine what is the best software to apply to your organizational needs? If you're searching for a buyer's guide for software services based on their merits, you can find some transparent and reputable review sites to help you uncover the best software tools for cloud computing, forecasting, benchmarking, mobile, predictive analytics, big data, and visualization. Dashboard software creates data visualizations (graphs, charts, metrics) that monitor client interactions, revenue, reports, and scorecards. Although dashboard software monitors client reactions, customer relationship management (CRM) and BI Tools are not to be confused. CRM is a database that stores customer sales history and interactions, which you could segment for greater productivity and profitability. Business intelligence tools combine software for customer acquisition and retention. Together, the two can impact real-world numbers through testing and experimenting. Business Intelligence technologies and analytic tools give more accurate reports while saving time and money. With the capability to analyze historical data and forecast a holistic view of their market, organizations need to understand analytics in order to make their company compete efficiently while understanding big data in real-time to deliver an optimal customer experience. The truth of the matter is that there are many good writers in the world. If all it took were to be a good writer, your competition would be ridiculous. 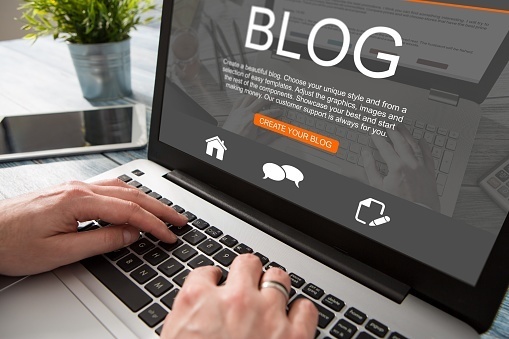 However, there are several different things that go into blogging successfully. Another important element is search engine optimization (SEO). Optimizing your content for the search engines is so important because, if you do it right, it will cause you to rank high on the search engine page and people will find you easily. There are several different elements that you should keep in mind as you are optimizing your content. Decide whether you are going to choose long or short keywords or key phrases: There are certain factors that should go into your decisions about keywords or key phrases. The first element is the level of competition that you have with your choice of keywords or key phrases. If you choose a keyword or key phrase that a lot of other people are using, it will be harder for people who are searching to find you and your business/brand. If you use keywords and key phrases that are more focused and more unusual, you have a better chance of being found easily. Of course, you will want to pay attention to the evergreen aspect of your keywords and key phrases as well. It is also a good idea to use your keywords and/or key phrases a few times (but not too many times) so that they show up in searches more easily. Overusing keywords and key phrases are not a good idea. Your rule of thumb should be to use them where they seem natural. They shouldn't seem forced. Your main goal is to contribute value to your readers/target audience members. If you have any question about where you should place your keywords and key phrases, you should put them in your blog title, teaser paragraph, subheads (whenever possible and relevant), blog URL, and meta-tag. Ensure that your blog's images are optimized: Images are important contributors to your blog's success. That means that they must also be optimized. Your images, if done properly, will be recognized and elevated by the search engines. In order to optimize your images, you should give your images appropriate titles (including a keyword or key phrase). As is the case with the words that you choose to use, you should also be careful not to overuse keywords and key phrases with your images. You should try to limit them to what feels natural. Never force it. Ensure that your blog is clear and easy to read: Considering that people nowadays have very little time and very little patience, you should write blogs that are easy for them to read or to scan. You want them to get enough of an idea about what you are communicating as a result of a quick glimpse. The fact is that the easier you make it for your readers to absorb your content quickly, the better your results will be and the better your chances will be of success. Some tips that may prove useful for you are effective use of hashtags, bulleted lists, short paragraphs, quotes (in moderation), and bold and italics (remember not to use them too much). Use backlinks effectively: Backlinks are very important for you. You need to make sure that your links are functioning. Broken links frustrate your readers and they damage your business' reputation. You need to keep in mind that you have control over the links that you choose to use. That means that there is no excuse for their not working properly. If people are interested in what you are saying, they will click on the links that you provide. It is really that simple. SEO is an extremely important contributor to your business' success. Discounting its importance will not help your efforts or your success in any way. You need to embrace the idea that SEO is here to stay and you need to recognize its importance. If you are not comfortable with SEO, you need to learn more about it. It is not tremendously difficult to learn how to optimize your content but doing it will make a tremendous difference to your business. Another thing that you should consider is optimizing your content for mobile devices. With the vast amount of people who view content on their mobile devices nowadays, it is a very intelligent thing to do. They are also a temporary internet bandwidth provider. They have everything from the tiny, cellular networks for a few users, to full-scale fiber optic technology. And because they do both delivery and bandwidth options, they will easily be able to ensure that your capacity fits with your delivery technology. But there is one algorithm that has become very remarkable when identifying websites that violate Google guidelines. It is known as penguin. The effectiveness of this algorithm definitely had shaken and changed the world of SEO upside down. So a lot of SEOs are keeping their distance to unethical SEO approach that may damage and hurt their website performance in SERPs. But how websites can really avoid being hit by this algorithm? 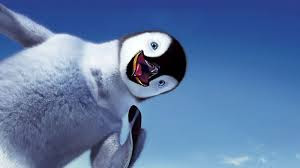 Google updates their algorithm once in a while and the recent update is the penguin update which is now Penguin 2.0. Matt'sstatement said that this update will affect 23% of English queries so this is definitely will affect many websites. To avoid being hit by the update there are some strategies that can be applied on many websites (which discusses below) to keep its level of performance in SERPs on fire. Don’t use exact match anchor text - Exact match anchor txt is definitely dangerous in SEO nowadays. The best way to use anchor txt to a website/webpage is to diversity your anchor txt. It is safer to use different words with the same meaning to avoid manipulation of rankings for your targeted keywords. Also, the possibility of a website to naturally appear on another website is definitely higher as the keyword will be used as the anchor txt is not purposely added. Provide quality content - The best way to learn something new is by reading fresh information about the topics we are interested in. Google is always pushing forward their mission to give only quality content. This is also the best way to avoid being hit by the penguin update by consistently providing informative content; it will benefit the website in the long run. Content is the key to success in internet marketing and once you make your content become your asset, it is going to be easy for your website to outrank its competitors and stay on top of your chosen industry. Focus on branding - Focusing on a specific topic in your industry will help you generate your success in the future. It is also the best way to attract more visitors and online trust of your target audience. If your website is about football, then it is strongly safer to focus on giving information about football. Don’t attempt to broaden the topic what your website is about. Prove your knowledge and expertise in the topic/niche you are focusing on by giving away useful information to your audience and in the long run, your website will benefit from it. Naturally link our pages links in-content - This is a combination of branding and keyworded anchor txt. Don't attempt to write content about history of basketball with a link of your football website under your targeted keyword as the anchor txt. It is safer to maintain the relevancy of the content that you will use to link your website. The consequences of irrelevant linking in SEO are definitely troublesome as your website may lose its ranking, lose huge amount of in organic search and worst, you may lose your trust of Google by having your website deindexed from their database. Google is aiming for good quality content websites to reward good quality authors that are consistently providing the needs of each searcher that will use their search engines. There is nothing to be scared about if your website will be hit or not if you are following the webmaster rules and guidelines carefully.